marriage of the Seine and the heart of the plants. 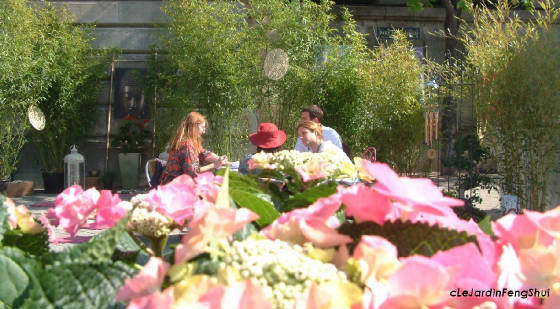 The team of Feng-Shui Garden invited by the famous Librairy Gardens. Anthos Kotsiras (Landscape DPLG) and Hugo Pailhès (Interior Landscape) from Nantes, both FSH School studients. 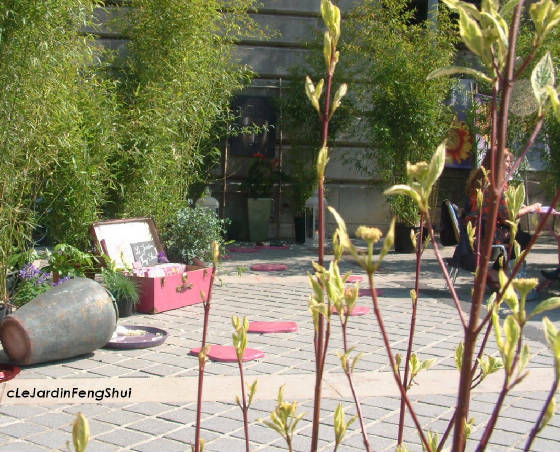 This garden located in the North-West area of the event alled the curiosity of passers Paris this week-end. 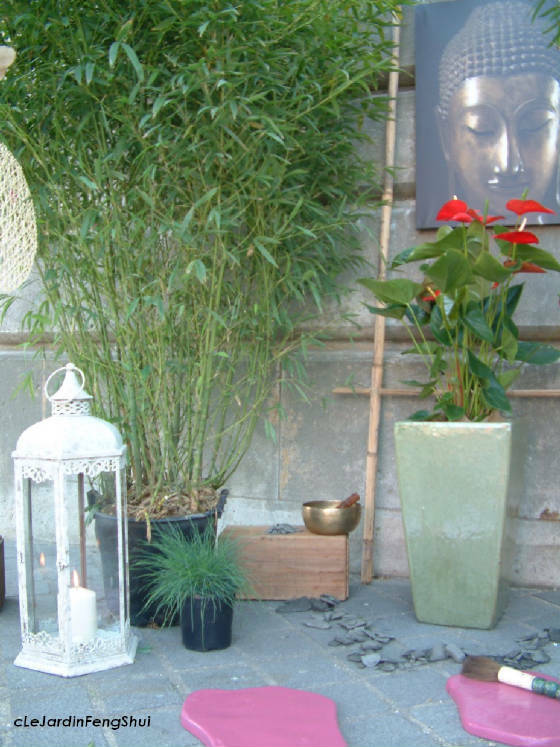 Each bamboo was placed on the right place with control of the telluric energy and positioned according to his relationship with his companion plant. Serenity born of this clear understanding between the extraordinary Feng-Shui Garden. 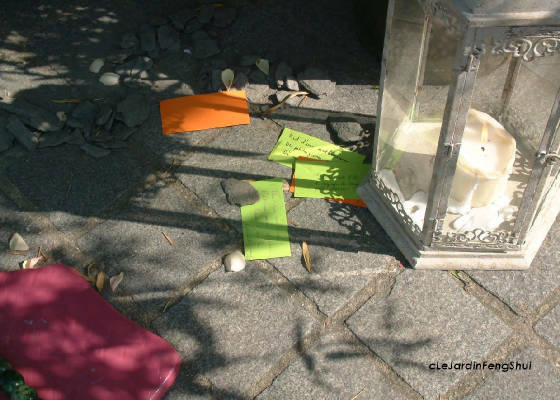 It has been an exercice Anthos and Hugo of letting go when setting up the plant with the objective of creating harmony, serenity and healing for all of us. The Garden of Buddha invited creativity in this place. Corinne Bouteleux Painter led us to writing Haiku poems on this sunday afternoon. ‘Haiku’ is a trace of a fletting moment of happiness. Lets go the more poetic in everyday life! ‘The garden of Buddha’, zen garden and harmony, lived through a peace moment and a time relaxation Qi Gong. The most beautifull word of the weekend passed was ‘in this garden there is almost nothing but there is all’ by a young Korean woman. 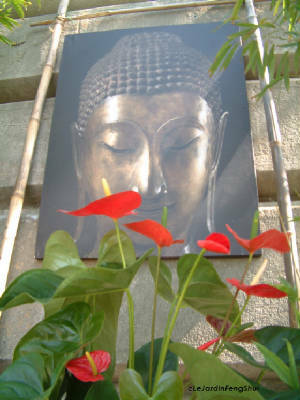 Feng-Shui garden is the garden of simplicity and ist beneficial energy was felt and rejuvenating by each visitor. symbolized here by the Japanese not fuchsia, place reliance in energy. 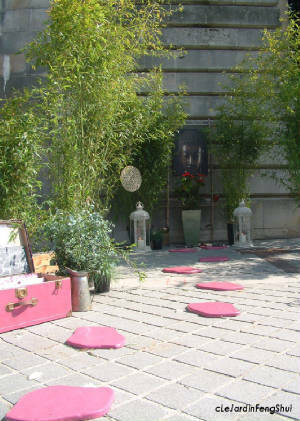 Many children have benefited from this path, laughter and joy in these life garden.